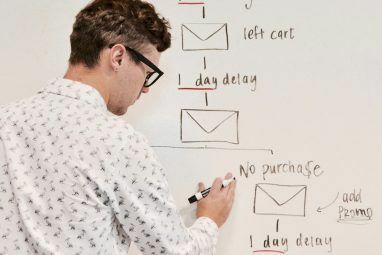 If you’ve tried all the advice from the productivity gurus out there but still find yourself drowning under the weight of your to-do list, these unconventional, science-backed tips might just save your sanity. When it comes to productivity advice, most of what we read online is simply anecdotal. If you’ve tried implementing any of these tips, you’ll instantly know that just because it worked for them, it doesn’t mean it’ll work for you, too. 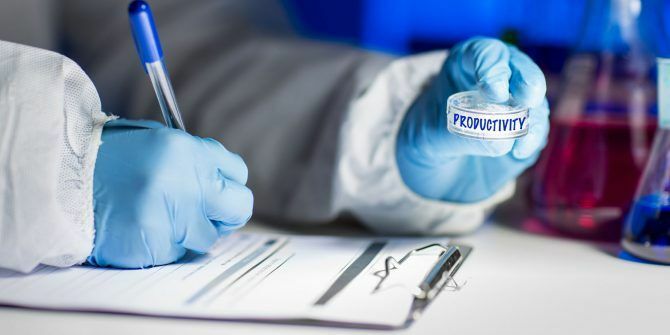 And then you have the more evidence-based productivity tips Boost Office Productivity with 10 Tweaks Backed by Science Boost Office Productivity with 10 Tweaks Backed by Science Productivity runs deeper than your to-do list. Being productive is tightly linked to feeling good and simple tweaks to your environment can unleash unknown potential. We show you where to start. Read More that are repeated all over the show. Find your perfect morning routine Which of These Morning Routines Is Best for You? Which of These Morning Routines Is Best for You? There is no one-size-fits-all when it comes to morning routines, but if you ask a bunch of successful people about theirs, you'll see a lot of similarities and overlaps. Read More . Start a meditation practice. Get enough sleep 7 Secrets to Sleep Peacefully, According to Science 7 Secrets to Sleep Peacefully, According to Science A perfect night's sleep is not as difficult as you might think. We've compiled this list of ten science-based tips and tricks for helping you fall asleep. Read More . Work in short bursts, Pomodoro style The Best Pomodoro Timer Apps to Rocket Your Productivity The Best Pomodoro Timer Apps to Rocket Your Productivity If you often hit a productivity wall after a few hours of work, a Pomodoro timer could help you keep your focus. This selection of timers has an option for every platform. Read More . Listen to the right kind of music The Best Music to Stay Productive at Work The Best Music to Stay Productive at Work Drowning out distractions with music can make you more productive. But, according to science, only if you pick the right music. Let us show you what works. Read More . Work out. Buy a standing desk. Some of this advice will work, no doubt. But since each of us reacts differently to different stimuli, much of it won’t actually make a real difference. Instead, it’s a matter of trial and error. Even if every blogger and their mother swear by one method, if it doesn’t work for you, you’re best off discarding it and trying something else. And that’s where this list comes in. If you feel like you’ve tried most of the productivity advice out there, and nothing is working, don’t resign yourself to a life on the sofa eating takeaway and never getting anything done. Here are a few unconventional, science-backed productivity tips that might just work for you even if nothing else will! There’s a huge amount of advice out there telling you to tackle your most important task (MIT) first. But for many of us, facing a daunting task first thing in the morning commonly saps morale, and acts as a demotivator. 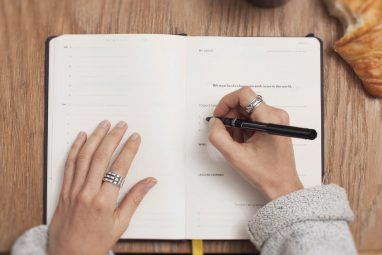 After studying thousands of diary entries from 238 employees, Teresa Amabile of Harvard Business School found that tracking these small wins enhances our motivation. How you decide to track these small wins is up to you. You could visually display your progress in a spreadsheet, or just cross off tasks from your to-do list To-Do List App Showdown: Any.do vs Todoist vs Wunderlist To-Do List App Showdown: Any.do vs Todoist vs Wunderlist Some to-do list apps stand head and shoulders above the rest. But how do they compare and which one is best for you? We'll help you find out. Read More . It doesn’t really matter. The reason this works is that each small win gives a small hit of the neurotransmitter dopamine, which increases motivation and energy levels. So what may initially seem like “productive procrastination” can easily lead to a domino effect that’ll see you tackling your MIT with far more gusto than if you’d turned to it first thing in the morning. Rewarding your successes may work for some people, but for others, punishing your failures is a far more effective motivator. In Psychology, this is known as “negativity bias” and it’s been demonstrated in a number of studies. For instance, in one study, Group A was asked to complete a task in order to gain money (a positively-framed incentive). Group B was allocated the money in advance but was threatened with losing the money if they failed at the task (a negatively-framed incentive). Due to negativity bias, the threat of losing something was consistently shown to be more motivating than the promise of gaining something. So try using negativity bias to your own advantage by putting your money where your mouth is. There’s nothing like risking some of your hard-earned cash to keep you on the straight and narrow. Have a bet with a friend where you lose a day’s wage if you fail to make progress. Or if that’s not enough, try an anti-charity platform like Stikk. This is a site that will donate your money to a charity you hate if you don’t reach your goals. Are you a diehard Democrat? How about risking $100 going to the Republicans if you don’t get that report finished! First of all, don’t be turned away by its self-help reputation. A large number of medical staff keep journals. Most professional scientists keep “lab journals.” Many people well-known for their high output (such as Tim Ferriss) regularly journal, too. That’s because there are plenty of ways in which journaling can serve to increase your productivity. 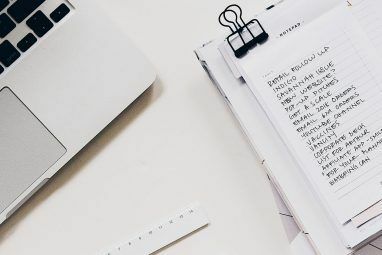 It’s a method that comes in many different forms, but it essentially boils down to “recording expressive communication.” That could be as a diary, a place to store ideas, or a way of keeping track of thoughts and progress, or something else. One study has shown journaling to be effective at improving problem-solving skills, which could be a great way to help you move forward with difficult challenges. Another study, by Psychotherapy Research, showed that by expressing your emotions through expressive writing, you’re more likely to see a “greater reduction in anxiety.” This stress-relief could be an effective way to relieve some of the pressure that’s negatively impacting your productivity. Getting started with journaling How To Keep Writing Daily Journal Or Diary Entries For A Year How To Keep Writing Daily Journal Or Diary Entries For A Year The start of a new year is a great time to begin keeping a journal or diary, but the challenge lies in keeping up your new daily journal writing habit. Read More can be as easy as scribbling some thoughts on a piece of paper. If you want to store your journals digitally, try Evernote or Microsoft OneNote. And for a dedicated journaling app, try out DayOne (iOS and Mac), or Journey (Chrome and Android). When facing a huge backlog of tasks 10 Ways To Dig Yourself Out Of Task Backlogs 10 Ways To Dig Yourself Out Of Task Backlogs The feeling of drowning in a list of never ending tasks is a fear common to all of us. The cure is available. Here are ten ways to claw your way back. Read More , one of the worst things you can do is to up your work hours. The science is clear on this. A 2014 paper by John Pencavel of Stanford University is just one study that supports this claim. This research found that each of us has a threshold at which output per hour starts to decrease. Although the data used for this study was from a munitions factory during the first world war, we can see similar effects now, especially in the knowledge-work sector. It takes only a small amount of reflection to notice our energy levels and output dropping when we reach a certain level of fatigue. This is when procrastination starts to kick in, and we realize we could have done more during one hour of hard work than we’ve managed in an entire afternoon of being exhausted. We have to be able to recognize this point of diminishing returns and pull back. Not just so you can come back stronger tomorrow, but so you can avoid burnout in the long term. An effective way to work out your own threshold is to track your productivity levels on apps such as Exist and TracknShare (iOS). Or use an Excel spreadsheet like the one explained in this article Discover Your Most Productive Hours with This Simple Method Discover Your Most Productive Hours with This Simple Method Build your perfect workday around your energy levels. This simple Excel spreadsheet and a few seconds of work each day could help you change your habits and get more done. Read More to track your most productive hours, and figure out your own point of diminishing returns, so you know when it’s time to throw in the towel. For most of us, when we check messages we’re just “making sure everything’s okay.” It’s as if we’re on call 24/7. Always ready to react — even when it’s not required of us — whether we’re on our lunch break or watching a movie at 11pm. We all know this is a bad move. A 2016 study revealed that this “always on” culture leads to a depressed mood, decreased calmness, higher stress, and lower energy levels. These effects were not just seen outside of work hours, but also when we return to work in the morning. This is believed to be because always being ready to react to incoming messages makes it harder for us to recover from a hard day’s work. This causes a negative cycle of lower productivity, and higher stress levels, potentially leading to burnout. The solution, it seems, is to completely detach ourselves from work when we’re not there. We need to disconnect and allow our body and mind to recover effectively, in order to maintain high productivity levels in the long term. To help with this, we’ve already published a guide on how to delete your email app with no negative consequences How to Delete Your Email App with No Negative Results How to Delete Your Email App with No Negative Results Ban email from your life and get more done. Is it a practical solution to delete the email app from your device and not live in the inbox anymore? Read More . The same lessons can be applied to deleting other work-related apps such as Slack. Yes, it’s scary at first, but try it out for a few weeks, and see how it goes! As mentioned, since each of us is different, not all of this productivity advice will work for you. But with the weight of scientific research thrown behind these tips, they have a good chance at being useful to a larger group of people. Why not give them a try and see what sticks? Not only could they help to increase your productivity, but also reduce your stress, and improve your health, too. What productivity tips have worked for you? And which ones definitely didn’t? Let us know in the comments! Explore more about: Procrastination, To-Do List. On many devices this is impossible. How about making it harder to check. Make it a protected app, but use a password and disable notifications. Closet he app when done so it looks again. This way launching it has a hurdle of entering a pass code.